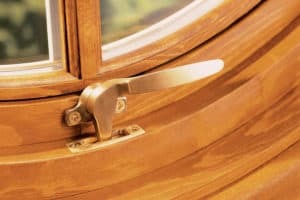 Architectural Openings & Access fully supports all of our quality windows and doors with a full range of both standard and decorative hardware and replacement parts. Our long-standing relationships with the Marvin, Integrity and Infinity brands allow us to offer our customers numerous options for window and door hardware and replacements parts — for cosmetic, security and functional solutions to a wide range of issues. The Marvin family of brands engineers durable and elegant hardware — in a variety of standard finishes that work seamlessly with our windows and doors. Marvin’s durable and elegant hardware is engineered to work seamlessly with our windows and doors, and comes in a variety of standard finishes. If your project requires a more distinctive hardware design, the Marvin Architectural Hardware series offers designer handles with distinctive looks that complement your unique architectural style and will complete your vision. Window hardware features classic low-profile durable hardware for clean aesthetics, safety and security. French Door handle sets offer classic styling, keyed cylinders, multi-point locking systems and available PVD finishes for superior durability. For more information about window and door hardware from AOA, to request an estimate or to schedule a visit to our hardware showroom, please contact us here or call our office at 616-426-6650.